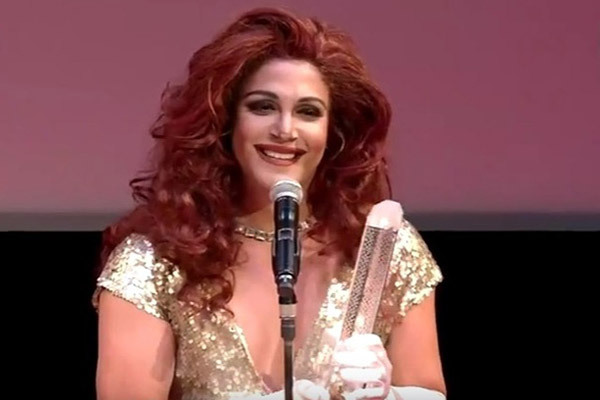 Actor Paolo Ballesteros won the Best Actor award at the 2016 Tokyo International Film Festival for his portrayal of a transgender woman named Trisha in the film Die Beautiful. Paolo, known for his makeup transformations, accepted the award in a gold sequin gown while femulating Hollywood actress Julia Roberts. Wow! Read all about it here and here and see the award presentation here. 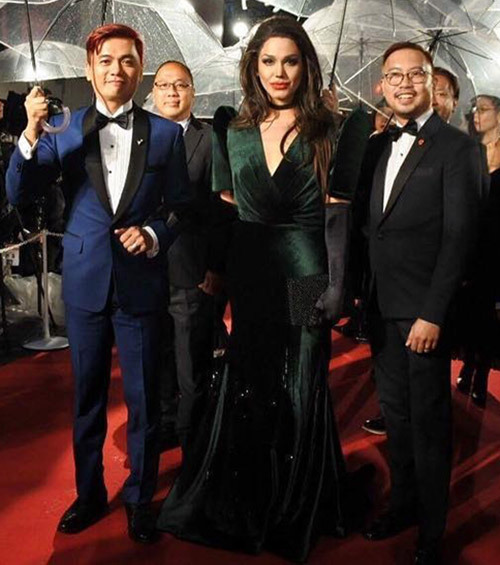 Paolo Ballesteros femulates Angelina Jolie at the 2016 Tokyo International Film Festival. Wouldn't THAT make a hit at The Oscars? Imagine if Best Actor went to a trans role and the actor in question accepted it en femme. Jared Leto won for Supporting, and maybe Eddie Redline will be nominated for Best Actor -- but to accept the award in a gown and heels, THAT would make a statement.